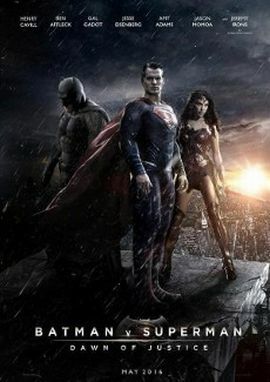 The comic movie Batman v Superman - Dawn of Justice will probably, despite all rumblings and rumors, be one of the biggest hits at the box office this year. At least that's what Warner Bros. is expecting when it lets two of the most popular comic heroes have a go at each other. Expectations are high among fans and on March 25th, 2016, the public assessment begins when it hits US theaters. Unsurprisingly, the theatrical version was rated PG-13 (for intense sequences of violence and action throughout, and some sensuality) by the MPAA. However, the big surprise is that the eventual home video release will also contain an "R"-rated version of the movie. As the most recent MPAA bulletin shows, Warner Home Video submitted an Ultimate Edition of the movie. Batman v Superman: Dawn of Justice Ultimate Edition - Rated R for sequences of violence. It looks like fans will get their first Batman (and Superman) film that carries the "R" rating. It'll be exciting how they make use of it (and whether that prevents fans from seeing the more harmless version in cinemas).